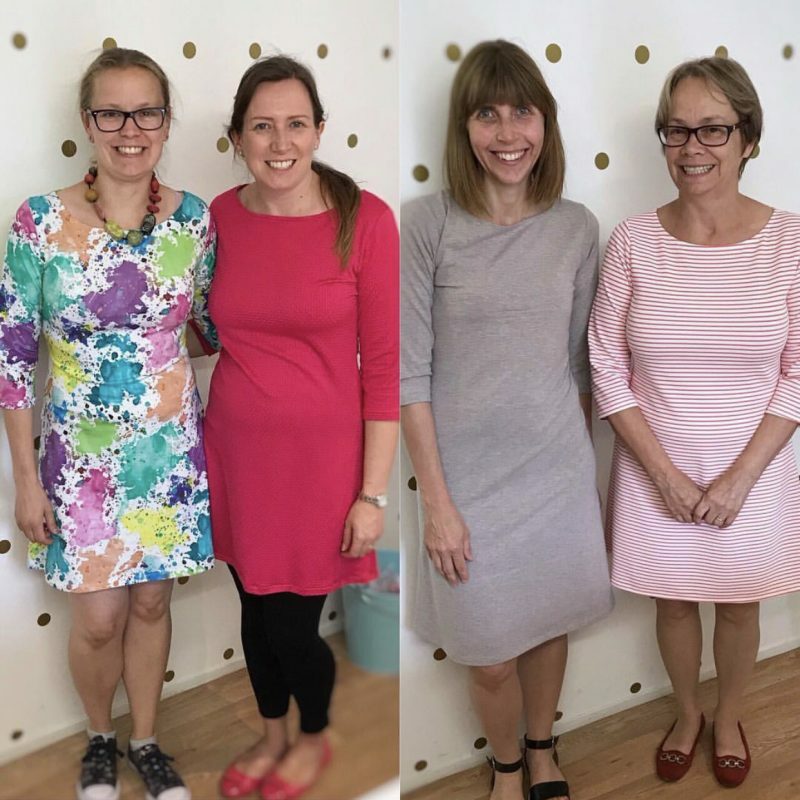 Our Beginners Jersey Dress class is a great introduction to sewing with jersey and stretch fabrics on a sewing machine. The Coco dress is a year-round staple that’s so easy to wear. Coco makes a great Spring dress, autumn funnel neck or cosy winter dress. 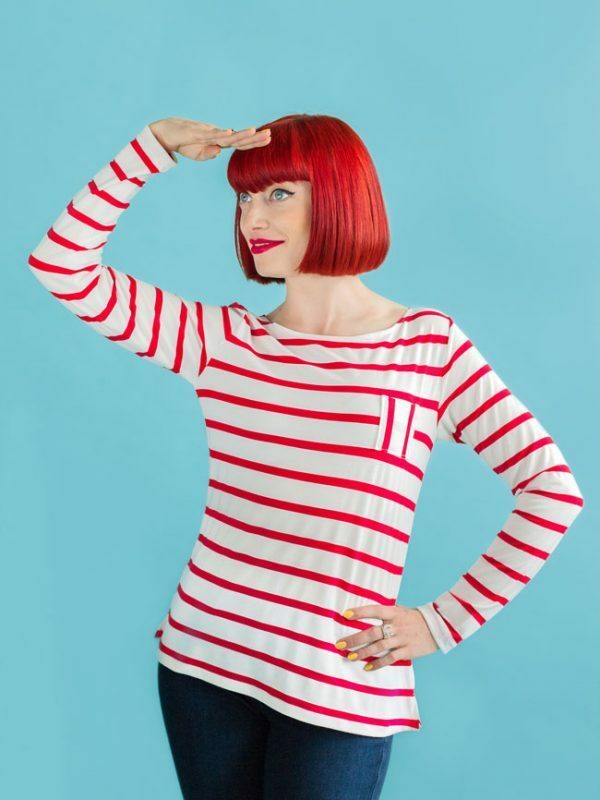 The classic style features a boat neckline, choice of top or dress lengths, three quarter length or long sleeves, with side splits at the hips on the top version. 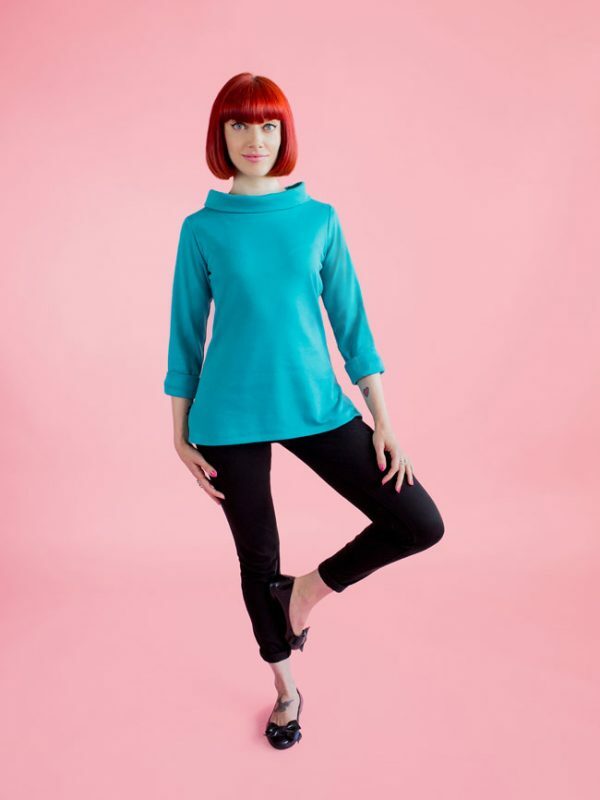 Make it your own with optional sixties funnel roll neck, rolled cuffs and patch pockets. 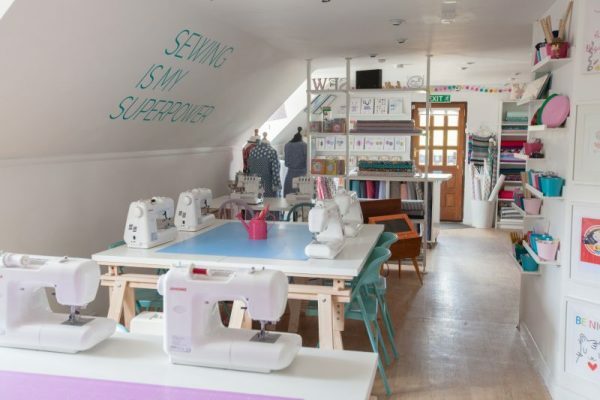 The class includes expert instruction, use of our Janome machines, tools, threads etc, a copy of the Coco dress pattern so you can make again at home plus tea, coffee and cake! 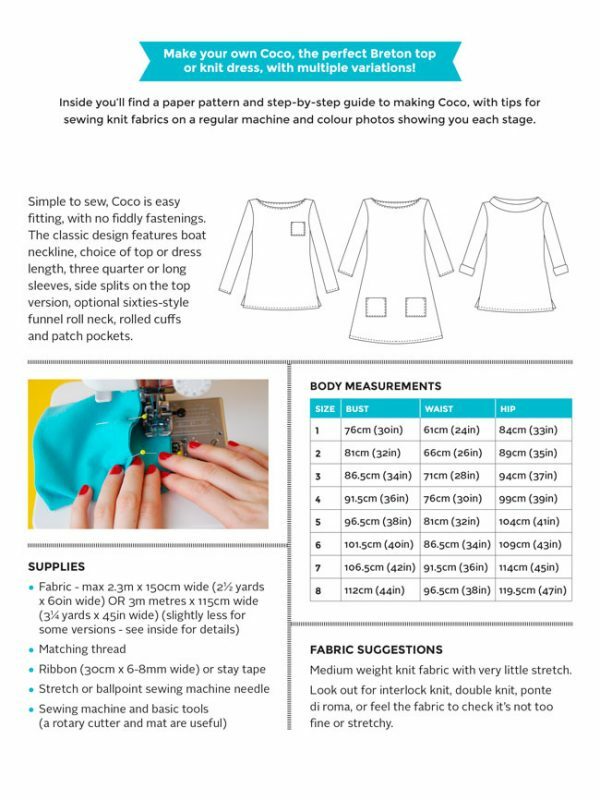 You need to know how to use a sewing machine but don’t need to have done any dressmaking. You can complete our Introduction to Sewing for complete beginners class or be of an equivalent experience level. 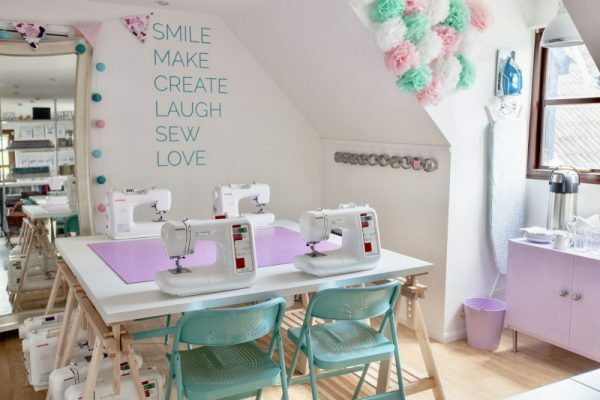 The Coco pattern is UK 8 – 20, you can see the body measurements in the photo gallery. If you fall outside of these measurements please contact us prior to booking as we may be able to grade the pattern for you. More questions? Take a look at our Class FAQs, these also cover our Class Cancellation Policy. Please note you’ll receive a confirmation email upon booking and you’ll also receive a reminder email the week before your class. If you don’t receive these, please check your junk/spam folder.